Conte has been in charge of Chelsea since the summer of 2016. CHELSEA BOSS ANTONIO Conte has been confirmed as a prime candidate for the Italy head coach job. 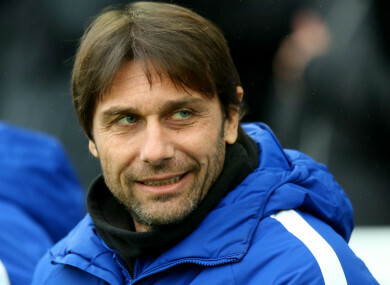 Alessandro Costacurta, the vice-commissioner of the Italian Football Federation (FIGC), plans to hold talks with Conte over the prospect of a return to the position he left in 2016. Speculation has persisted for much of this season over Conte’s future, who has struggled to build on the success of his first season at Stamford Bridge, when he won the Premier League title and reached the FA Cup final. The former Juventus boss, who admitted this month that “anything is possible” when it comes to his possible plans for next season, has regularly been linked with a move back to his homeland. Former Italy and AC Milan defender Costacurta believes Conte’s achievement of guiding the Azzurri to the quarter-finals of Euro 2016, a little over a year before they failed to qualify for the World Cup, shows he would be a shrewd choice. Conte has already shown he can be the national team coach,” said Costacurta. “We saw that at the Euros. The other [candidates] haven’t yet. Another to have been linked with the role is Milan boss Gennaro Gattuso, but Costacurta says such an appointment would be too early in his former team-mate’s career. “I’ll tell you directly: Gattuso, no, I won’t contact him. It would be a bit too soon,” he said. U21 coach Luigi Di Biagio will take charge of Italy in next month’s friendly matches with Argentina and England. Email “'I’ll definitely talk with him' - Italy make Chelsea boss Conte their number one target ”. Feedback on “'I’ll definitely talk with him' - Italy make Chelsea boss Conte their number one target ”.